Okay Cicada, I might officially be a little scared of you now. 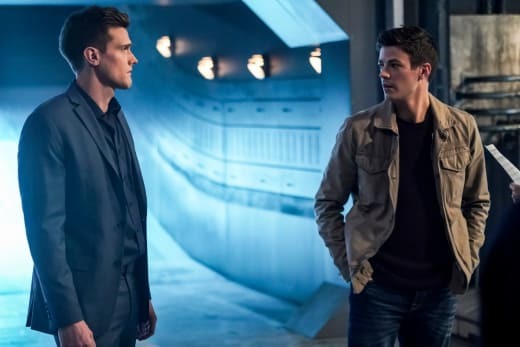 After a disappointing mid-season premiere, The Flash Season 5 Episode 11 reminded us why it’s the number one show on its network. At least, for the most part, it did. “Seeing Red” was the first episode that really dedicated the entirety of itself to developing Cicada’s persona, and 11 episodes in he’s finally living up to his name. For someone who was described as the “scariest serial killer of all time,” Cicada wasn’t exactly following through with the actual being scary part, and while that's partially due to Chris Klein’s portrayal of the character, the blame also goes to the writers for not spending enough time developing his antagonistic side. Klein is still overacting, but brutal and unabashed Cicada attacks on various meta ’s, not to mention Gustin’s unbridled fear when facing him, helps bring the story to life. 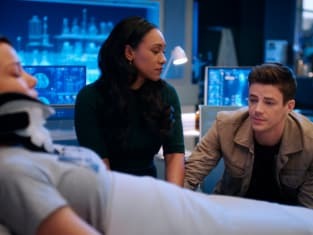 What Flash feels, we as viewers tend to connect with, and this episode it was all about pure terror. At first, the concept of keeping Cicada in hiding seemed like a cop out (much like sidelining Flash last episode). In hindsight, however, it was the perfect move. Cicada is now completely healed, and able to take down metas with full force. Again, this is something the audience hasn't seen before. There are no more scenes of Orlin Dwyer bleeding out, dragging himself across the ground while gravely injured. Now, dressed up with his hood and dagger, Cicada comes off akin to that of Michael Meyers — a beastly, overpowering creature who will stop at nothing to reach his goal: killing absolutely everyone in his path. As much as I love a complex villain, and understand why showcasing the relationship between him and Grace was imperative to the overall arc of the character (it will be their way to defeat him, after all), it provided almost too much sympathetic content for this seasons big bad. 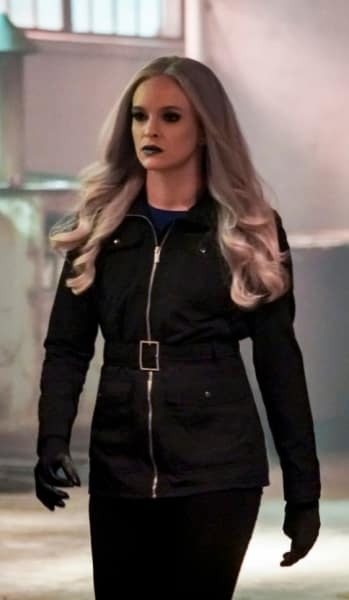 The writers have also found a unique way to implement more of Killer Frost, who is entertaining as ever. It may be difficult to get past the retcon of how Frost’s powers came about in the first place, but if you forgo the details, it's refreshing to see her given a fleshed out backstory. It's also always fun when your female hero ends up being the only one who can save the day. I’m enjoying the writers switching which heroes team up depending on the episode. I fully believe it allows more individual growth from every character, but Killer Frost and Flash may be my favorite pairing to go against Cicada yet. The action sequences alone made the episode worth watching, and Marcus Stokes should be without a doubt be brought back to the director's chair soon. The Flash has fought an endless amount of bad guys over the years, but the use of hand to hand combat with such intense stunt sequences had me on the edge of my seat. Now comes the time in my review I once again rave about the excellence that is Grant Gustin’s acting. I am fully convinced there is nothing this man can’t do, and I am constantly in awe of how layered a character he’s able to make Barry Allen. We’ve seen a lot of humor from Barry this season, but we’ve also seen a lot of darkness. Not to say The Flash hasn’t been angry before, but this type of unhinged rage is a new version of that anger, and it plays perfectly into his new role as a father. 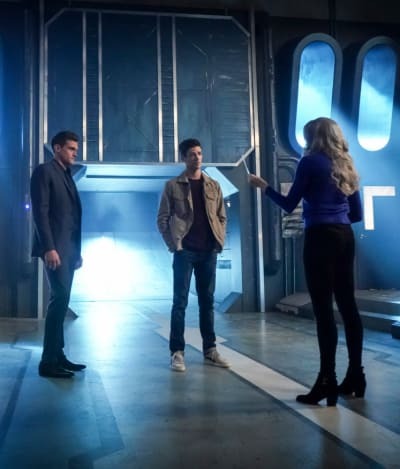 Nora's injury allows Barry to revel in his despair, and the parallel narrative built between Cicada and The Flash makes them increasingly interesting foils. Their similar motivations but ultimately opposite reactions truly highlights the heroic nature of Barry Allen. The same can be said for Patton, who has given us an angry, headstrong Iris often, but has never quite delivered It with the ferocity of a mother protecting her daughter, even if that means going against her so-called friends. 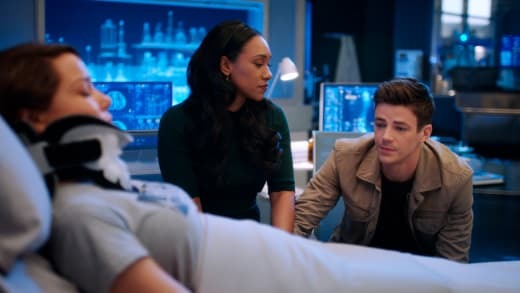 Of course, the chemistry that is the West Allen family couldn’t be complete without Kennedy’s emotional range, and seeing the three of them cry together over Nora’s temporary injuries played like a family dealing with true loss. Letting Nora sit out for the majority of this episode was a nice change in pace, as it allowed other characters to shine. The scenes that did focus on her were executed flawlessly, however, and tissues were definitely needed on more than one occasion. When you're blessed with the right cast, you don't need the dialogue, the special effects, or the overexposure of screentime. Your actors can exude everything you're trying to convey--sometimes without saying anything at all. 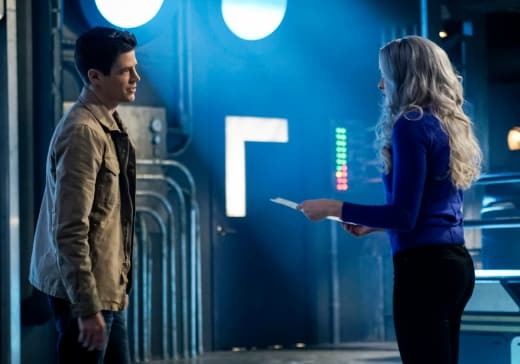 With Nora sidelined, it was gratifying to see Killer Frost, Ralph and Cecile utilized in ways that were essential to moving the plot forward. I’m not sure I will ever be able to take Ralph’s superhero alter-ego seriously, but I do find his character to be a much better addition to the team this season. 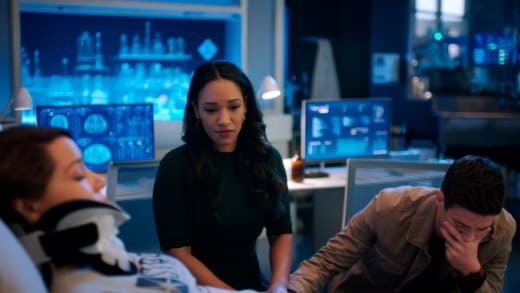 The one piece of the puzzle missing from this otherwise successful episode was Cisco Ramon who, through multiple chunks of expository dialogue, was explained to be off searching for a cure in isolation. Why Cisco and Caitlin would promise to work together on finding a cure just for Cisco to disappear, is unbeknownst. Why Cisco would want to “work alone” when he’s usually such a team player also remains a mystery. I appreciate The Flash writers always attempting to explain where their missing characters have run off to, but more often than not, those reasons are flaky and out of character. If there was anything else to critique about "Seeing Red," it was once again the lack of Iris West. The show showcases what an unbelievably smart, loyal and loving character she is — but they don’t actually use those traits of hers anywhere near enough. I sound like a broken record on my “Utilize Iris” pedestal, I know. But I will stand on that pedestal until I see her more effectively active within the storyline. If Sherloque is so smart, shouldn’t he be a little farther along in his investigation of Nora? I thoroughly appreciate how there is a Joe West reference every single episode, no exceptions. That last scene between Iris and Barry was some of the softest, most beautiful TV I’ve ever witnessed. 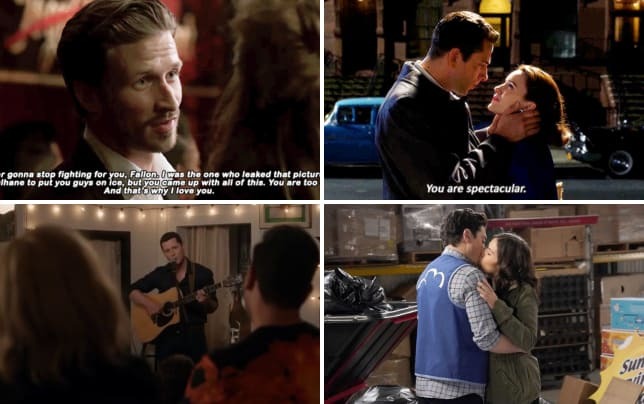 They are what dream ships are made of. 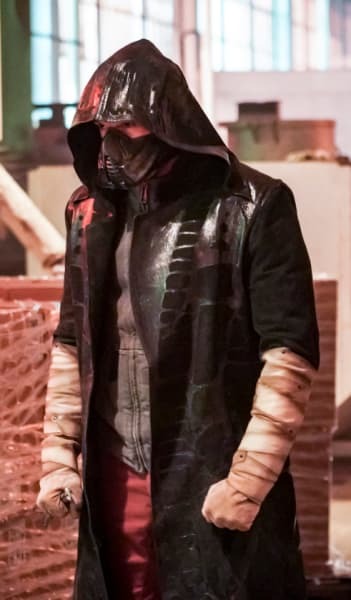 Do we think Barry’s excellent hand-to-hand combat in this episode stems from his time as the Green Arrow? Although predictable, the parallel narrative between Cicada and Barry makes them increasingly interesting foils for one another. 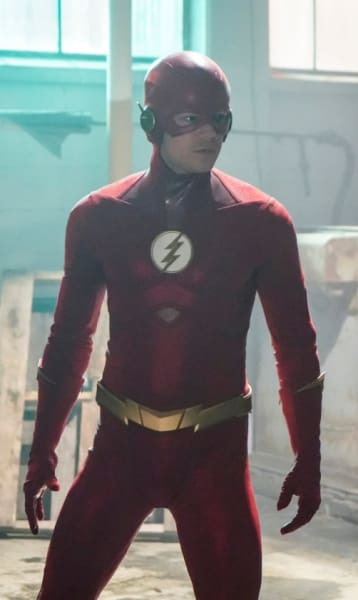 Okay Flash Fanatics, it's your turn! Did you think this episode got things back on track? Were you finally as scared of Cicada as I was? What are your feelings about so little Iris this season? And were you crying over the lack of Cisco too? Let me know in the comments, and if you need to catch up you can watch The Flash online, right here at TV Fanatic! Cicada: You can’t win this fight. Killer Frost: Yeah but I bet I can. They call me killer Frost. Now let me show you why. Captain Sing: When Joe gets back, the two of you will be a force to be reckoned with. Cecile: Oh, we already are. Permalink: Oh, We Already Are.